The moment Brett Kavanaugh was named as President Trump’s selection to fill the latest Supreme Court vacancy, I prepared for the battle that was sure to unfold. Today’s Democrats are in no mood to allow Trump a second constitutionalist on the high court, and following the lead of Sen. Edward M. Kennedy’s slander of Robert Bork in 1987, it seemed likely that they would mount a furious challenge. But no one could have foreseen the despicable depths they have plumbed in their desperation to prevent Supreme Court rulings that actually respect the Constitution as written. Kennedy’s attacks on Bork involved a shameful misrepresentation of the nominee’s judicial philosophy; the war on Kavanaugh has sparked an all-out personal war that has cast aside every rule of elemental dignity. It is not merely an attack on the man; it is an attack on fundamental American virtues. “Innocent until proven guilty” is not just a courtroom precept; it is a recognition of a basic right of anyone accused of anything. Requiring evidence to back up a charge is not just an academic ideal; it is the least we offer to anyone who faces a damaging allegation. But if the target is Brett Kavanaugh, today’s left gladly abandons these concepts. This is why his confirmation battle is not just a fervent wish for constitutional conservatives; it is a moral necessity with direct bearing on what kind of country we are all going to live in. When U.S. senators badger a nominee about high school yearbook code language, you know we are in a different era. When media analysts like ABC’s Matthew Dowd express hope against another “sexual predator” on the high court, smearing both Kavanaugh and Clarence Thomas, you know media venom has reached grotesque levels. When a cartoonist portrays Kavanaugh’s daughter praying for God to forgive her “lying, alcoholic father for sexually assaulting Dr. Ford,” you know that the darkest and cruelest attacks are now welcomed into the marketplace if the target is right. This is why he must be confirmed. Not just because of the value he would bring to the court—if his confirmation were to fail, Trump could well nominate Amy Coney Barrett. Then we could wait for the stories of when she axe-murdered a family when she was in high school in New Orleans. The Kavanaugh battle is now a struggle for our national soul. Will we become the kind of society that permits reckless smears to destroy lives? Will we allow partisans to suspend the basic rules of fairness to savage their chosen enemies? If so, no one could blame good people for declining to subject themselves to the resulting meat grinder. Public scrutiny has always invited a harsh light, but even the marauding Senator Kennedy never showed a knack for the kind of bottom-feeding escapade we’ve witnessed ever since Dr. Christine Blasey Ford’s charges went under the microscope. That examination has revealed nothing in the form of evidence to support her claim. Meanwhile, we’ve been subjected to assaults on propriety and logic. Senators have suggested that he has the responsibility to disprove her story of a sexual assault that is seared into her crystalline memory, even though she has no idea where the party was, how she got there or how she got home. Dr. Ford has been treated with substantial respect, if not outright kid gloves. Even the staunchest doubters of her story leave open the greatest likelihood—that she was indeed assaulted, but not by Brett Kavanaugh. There is sizeable and appropriate skepticism for her story as she tells it, but ample empathy for her nonetheless, based on a wide variety of possibilities when memories are revived after the passage of decades. Her story may not go down as the tale that sank a Supreme Court Justice, but no matter how this week plays out, her days will soon fill with speaking engagements and book deals. But what of Judge Kavanaugh? If he survives this onslaught, he will reach the Supreme Court. If not, he will forever be remembered as the judge with a glowing reputation, admired in personal and professional circles, who took a bullet from a mob hell-bent on ruining him. He will not deserve to be stained, but we will, for letting it happen. God help any Republican who votes against him, whether the preening Jeff Flake or the women who have held him hostage for weeks, Susan Collins and Lisa Murkowski. 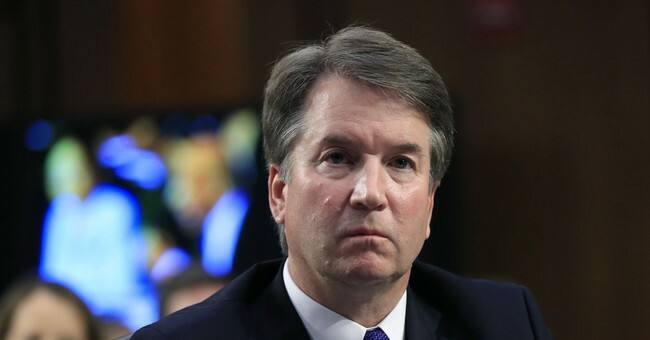 If womanhood or pro-choice leanings or Trump hatred or any combination thereof compel them to take up sides with the sinister forces aligned against this good man, memories will be long among Americans who will view their votes as a betrayal for the ages. Supreme Court nominations are a familiar arena for passionate arguments about politics and the law. The rabble that has taken aim at Brett Kavanaugh has ramped up the stakes to a historic height. They cannot win. There are other Supreme Court candidates, but we do not have another country. In the only nation we have, rules must matter. Values must matter. Basic behavioral norms matter. Future nominees will face the sharp attacks that have become the norm, but this grotesque circus can never be normalized. The people who have done this to Kavanaugh must taste the bitter sting of both defeat and public revulsion. We get the government that we elect, and we create the society we deserve. The future will be filled with Supreme Court justices named by presidents of both parties. But at this moment in history, let every prayer be lifted for the Kavanaugh confirmation. Another worthy justice can be named if he is discarded, but we will not be able to reclaim our basic dignity.